Clouds on the horizon make sunsets more interesting. The setting sun will sometimes shine on the underside of the clouds after it has dipped below the horizon. For novice photographers, I think this makes getting the correct exposure so much easier. Once the sun is down, you don’t have to try to balance between an overexposed sun and underexposed scenery. This picture was captured by Shawn near Nelson, NV. 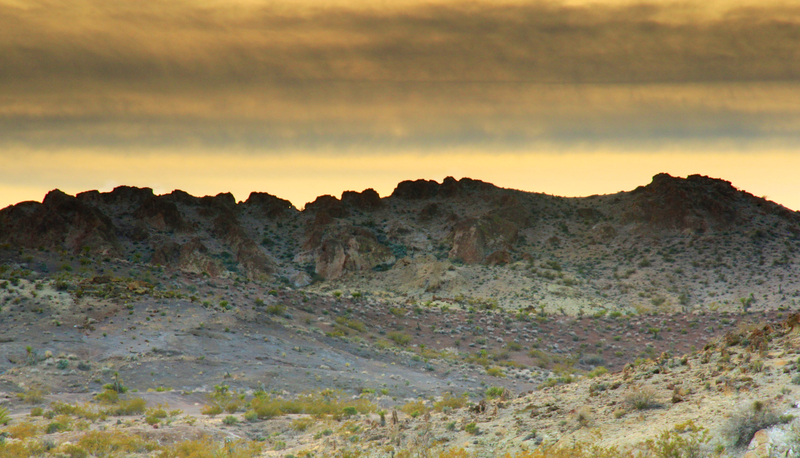 We had been taking some pictures of the glow on the rocky outcrops to the east with the sun behind us. Shawn turned around and quickly snapped a few pictures. The clouds look surprisingly dark. However, it wasn’t a gloomy cloud cover at all; just some high cloud that had reduced the sun’s intensity in the late afternoon. Last May, we attended a photography class held at Bryce Canyon National Park. We learned a lot during that class. We still have lots to learn and hope to continue to improveour skills and capture better photographs. We thought we would expand the use of our blog to share our photography with our family and friends. 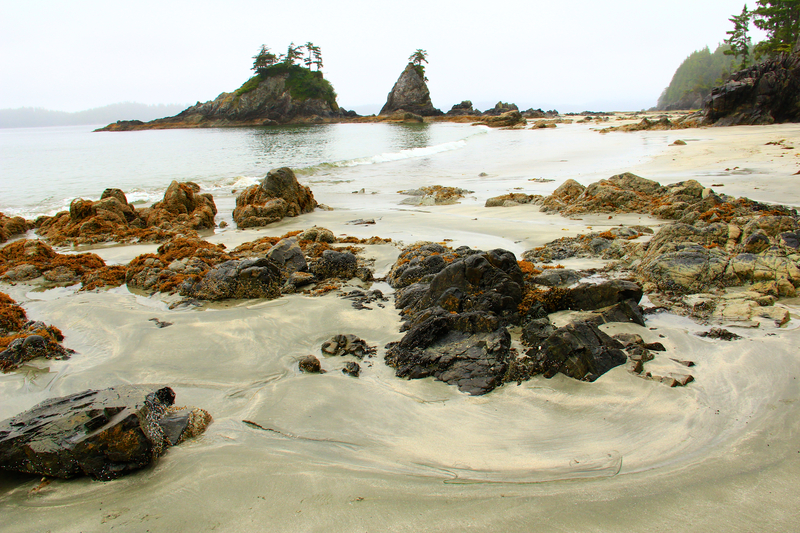 Our photo for today is from our boat vacation last summer to Clayoquot Sound and Barkley Sound. This photo was taken on Brady Beach. It was late in the afternoon on an overcast day. One of the lessons we learned is that to improve a landscape photo, we should include some interesting foreground features. So I crouched low to try to use some of the rocks in the nearshore area. I also hoped that the patterns left in the sand from the wave action would provide some more visual interest.